Description: Eyes are the windows of the soul. In this painting, the artist successfully captures the soul of his subject. 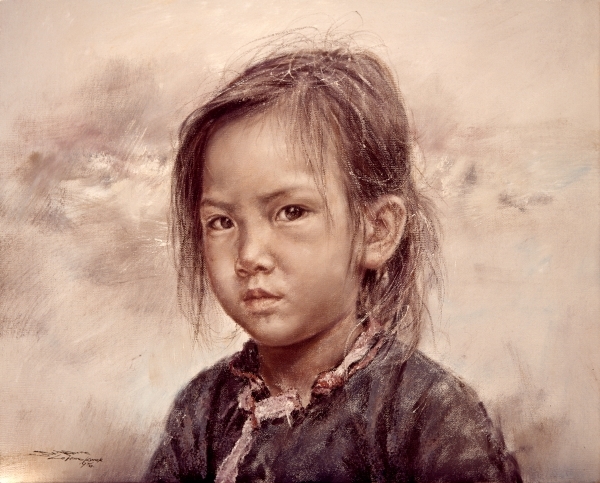 When you look at this painting, you feel as if her eyes are following your every move, even as they look right thru you.